First off, I want to say before I began hating, that I was an off and on smoker for seven years. I stopped in 2010 and haven’t done it since. My heart,lungs,and throat continue to thank me. I mainly smoked menthol cigarettes,but also smoked cigars,too,as well as hookah. Now two years later as I look back, I think to myself why the hell I ever smoked any of those things, especially hookah. In fact, I kinda don’t understand the appeal of smoking it, maybe it’s because I’m older than a lot of people who partake in the habit by going to hookah lounges or someone’s garage after Midnight when nothing good happens (Remember,nothing good happens after Midnight when you are out, so just stay home!). What also bothers me about people who smoke it is the claim that it’s better to smoke hookah than it is to smoke cigarettes. It’s a claim I had heard for years and at one point believed. This,my friends,is a myth. That’s like saying light beer won’t get you as drunk as regular beer. 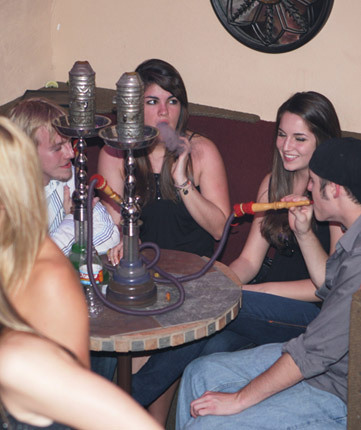 Although research is continuing to emerge, smoking hookah has been found to be no safer than smoking a cigarette, and according to the Center for Disease Control, smoking hookah carries the same risks as cigarettes and the World Health Organization estimates a one-hour smoking session exposes one to nearly 200 times the smoke inhaled by one smoking a cigarette and also poses the same risks of secondhand smoke to non smokers. Also,according to the Mayo Clinic, pipes may not be cleaned properly after use which may lead to infectious diseases. If you do smoke hookah and this isn’t enough to make you not smoke this anymore, then go right ahead and continue. It’s not my place to tell someone to stop doing it, that decision has to be made by them and only them. Nobody made me quit smoking, I did that on my own and am proud of that decision. This is just one of those things that for some reason,everybody else loves that I hate.